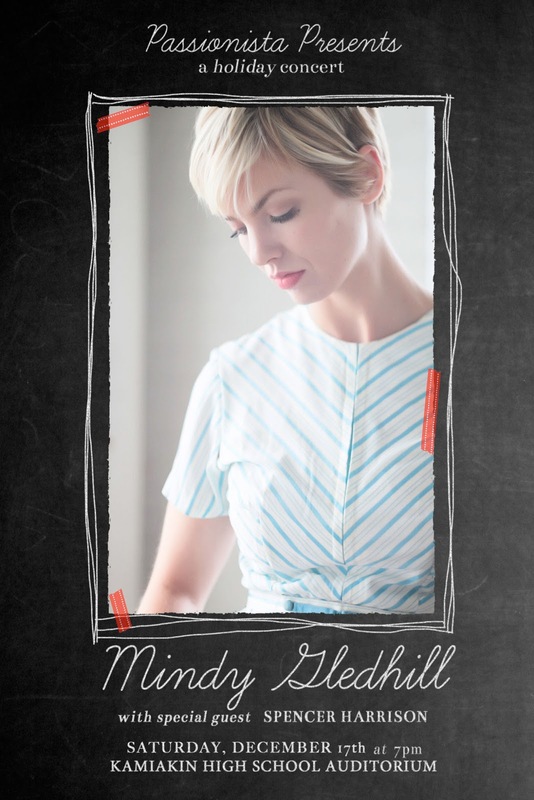 Friends, there are just 10 days left until the Mindy Gledhill show. Be sure to get your tickets! With every show, I hear afterwards someone tell me, "Oh, I wish I would have known about that show!" Please, help spread the word so NO ONE misses out on this holiday cheer!